SPACIOUS 4 BEDROOM, 2.5 BATHROOM, 2 CAR GARAGE HOME POSITIONED ON A CONSERVATION LOT WITH WOODED VIEWS. This beautifully maintained home is located in the Whispering Woods subdivision which amenities include a community pool and community trail with a playground area. The focal point of the home is the kitchen which features solid wood cabinets, granite countertops, a breakfast bar, stainless steel appliances, a large closet pantry, and overlooks the family room. The master suite is on the first floor and has a massive walk in closet that is a must see, and the master bath has his and hers vanities, a garden tub, and separate shower. Additional rooms on the first floor include the living room, dining room, an inside laundry room (washer and dryer included in the sale!) and a conveniently located bath. The second floor has a huge loft, three bedrooms, and a full bathroom. The LARGE FULLY FENCED BACKYARD WITH NO BACKSIDE NEIGHBORS makes it ideal for outside relaxation or entertainment. Excellent location near local dining, shopping, schools, and entertainment. 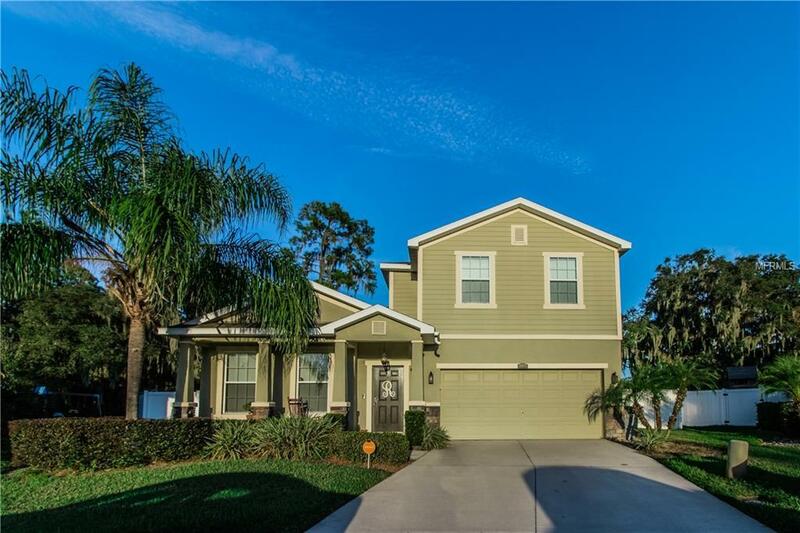 Access to major highways makes commuting to Tampa, Orlando, Lakeland, and the surrounding areas easy. Listing provided courtesy of Ling Realty, Llc.